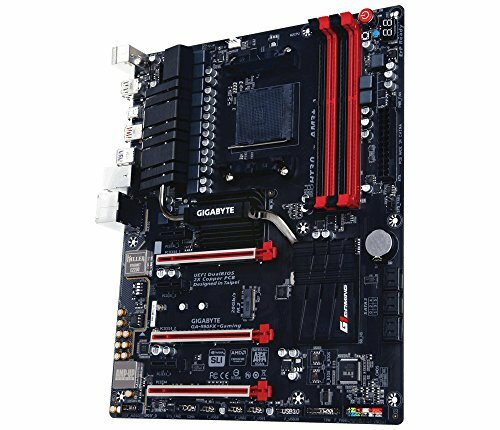 Overall, a really great motherboard for what you pay for. 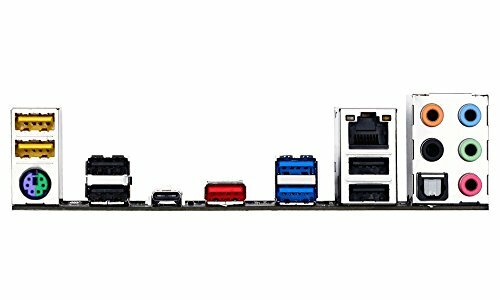 M.2 20Gb/s, USB 3.1 and Type C, reinforced PCI-E slots, VRMs run really quiet. 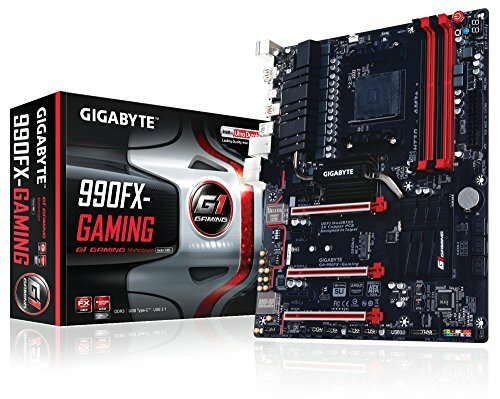 Bios is absolutely terrible. Mouse cursor is extremely buggy, so if you try moving it quickly it will glitch out and not move correctly. It's also pretty much impossible to get my RAM to run at stock frequencies. They're currently stuck at 1600Mhz, when they're advertised to run at 1866. Trying to overclock them results in a boot failure / crash. Great features, great aesthetics, VRMs run cool. BIOS is absolute garbage though, so I have to knock off a star for that. 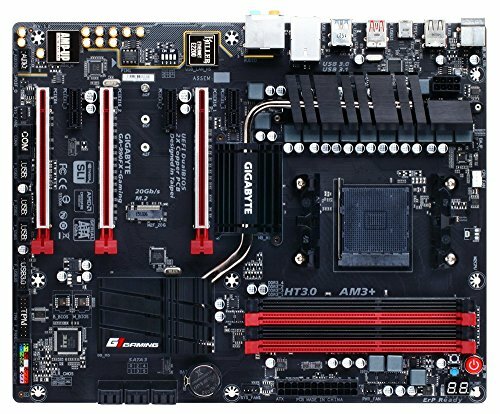 This board is the best AM3+ board I have used with its ambient lighting and reinforced PCI slots as well as and M.2 slot. The VRM chips are more than capable of taming 220w TDP chips and the black PCB with red accents is choice! Great board. Looks nice, has a lot of features, stays cool, and makes it really easy for CPU overclocking.